Kathy Smith was a registered nurse. She’d watched first hand as the nursing and medical field experienced change after change and realized that it was time for a new path. She was a quilter at heart and wanted to pursue her passion in Burlingame, Kansas, a small town of approximately 900 residents located half-way between Emporia and Topeka. When Smith and her husband Larry were getting the business started they recognized that they needed some help so they sought out the Kansas Small Business Development Center (KSBDC) at Washburn University. [They worked] with KSBDC consultant Rick LeJuerrne. Smith credits LeJuernne for helping her “stick with the process and complete the plan.” Staying on top of cash flow and planning ahead has helped Great Plains capitalize on opportunities as they arise in the market. 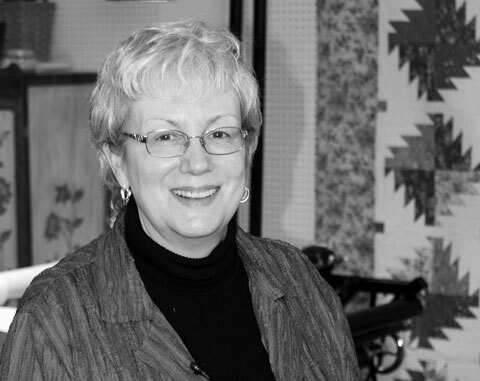 Smith knows that if another area quilt shop decides to liquidate inventory, it becomes tough to compete on price. And she must pay attention to and participate in what’s happening across the quilting network. One tool she uses for marketing is the shop hop. She credits understanding how important it is to create a destination shopping opportunity for your community. And not listening to the naysayers, but instead sticking to a well-laid plan. As she nears retirement, Smith realized it was time to discuss the next steps in her established business. She knew she didn’t want to leave a hole in the community she loved and at the same time needed a plan to work out opportunities for her company’s future. Smith contacted the KSBDC to develop a succession plan. Tom Byler, KSBDC consultant who works with the collaborative Emporia State University and Pittsburg State University centers helped the Smiths develop their plan. Byler helped them assess their business using industry benchmarks and comparing their business to available industry averages. Because of this analysis, Great Plains has applied the information to their business processes and realized a gain in profit. According to Byler, Smith has kept excellent financial records making it easier for the team to quickly determine how to further improve the business financially. Tapping into the KSBDC network, Byler also brought in Will Katz with the KSBDC at KU to assist with business valuation. Katz is certified in business valuation and added additional value to the succession planning process. Smith credits the planning process she worked through with the KSBDC – both at startup and now transitioning to succession – as key to successful business operations and peace of mind. What do you believe is the secret to your small business success? Sheer determination and stubbornness! Also, realizing that you can’t fall in love with your inventory so if it’s not moving you have to get it out the door. If you could go back in time, what advice would you give yourself before starting your small business? Realize that you have to keep investing in your business to keep inventory at an attractive level. What advice would you give to someone thinking about starting a business today? Plan. Plan. Plan. I knew the importance of planning but really learned from the process. I used the plan, but really didn’t have to pull it out and read it because I knew what I was doing because of the process I had already gone through. What advice would you give to someone currently in business today? You can’t sit back and rest on your laurels – keep driving forward all the time. Stay on top of current events locally and nationally. Planning is key to successful transition. Kathy, we couldn’t agree more. For more information about Great Plains Quilt Company, see http://www.greatplainsquiltcompany.com, or call 785-654-3303. For more information about KSBDC’s services available in the Osage County area, contact Tom Byler, KSBDC consultant, at ESU Chanute, ESU Outreach NCCC, 620-431-2820 ext. 285, emporia.edu/sbdc, or email [email protected]. This article and video were produced by the Kansas Small Business Development Center in conjunction with Great Plains Quilt Company’s award as an Existing Business of the Year 2014. The award is to be presented in Topeka on March 11. See related story here.